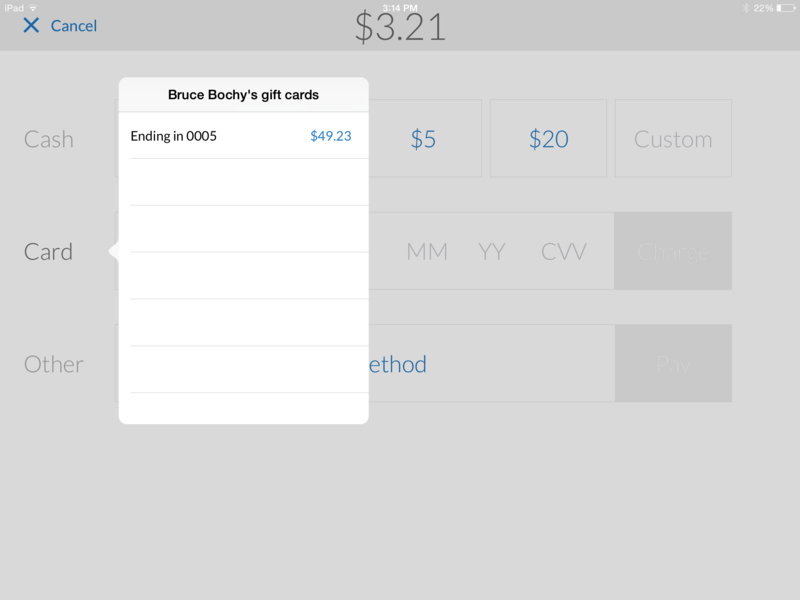 Customers can pay with a stored gift (or declining balance) card without having the card in hand. This is a great sales tool for selling more gift cards as well as helpful in establishing house accounts with pre-funded debit balances. Click on the Customer Database tab on Instore and look up the customer in question. Ensure that she has a sufficient gift card balance. Note: if a customer has insufficient funds on one or more gift cards, you can use the Split payment flow to zero out the gift card in question then accept different tender for the balance of the transaction.